Debut album, Ride the Wheel, released April 2017! 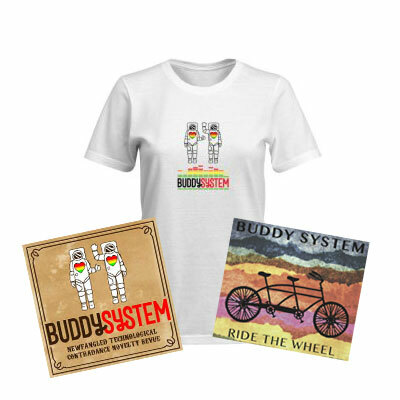 Buddy System’s debut album features tunes written and collected in their travels. From driving reels to beautiful waltzes, the tunes are creatively arranged and feature Buddy System’s tight duo sound, plus a few extra surprises. Buddy System has taken the country by storm since Noah and Julie started performing together in 2014. They’ve played for dancers in more than twenty states, at some of the biggest dance festivals in the country. They also love playing concerts, where they can showcase other parts of their deep repertoire. Winter CDH, 2018. A blast to spend a week with so many great folks. Playing the main hall at the Dance Flurry is always such an incredible experience – there’s just nothing else like it! A new tune at Chattaboogie, Jan 2019.